Showing recent results 4066 - 4080 of 4486 products found. 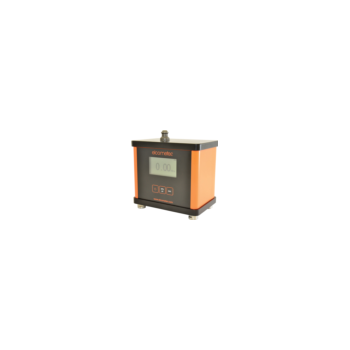 Tester for diagnostics of voltage regulators. The device simulates control signals for a tested voltage regulator. 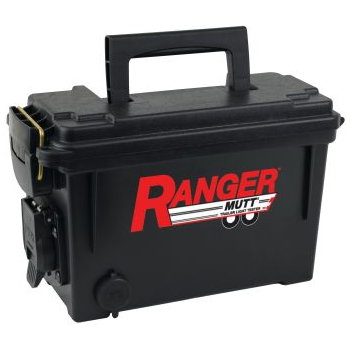 It contains integrated physical and program interfaces of all actually existing control modes of modern alternators. Adapter is controlled by clock encoder with button to install and change parameters. Installation and parameter data appear on LCD display. 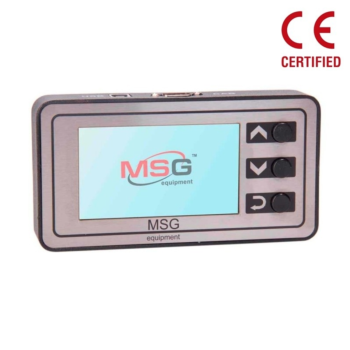 The handset tester possesses the opportunity to change existing and implement new functions and interfaces in the software. Update download is carried out through USB port. Built-in power supply gives an opportunity to use the device as high-precision ohmmeter or generation of arbitrary PWM signals. Diagnostics lasts about 2 minutes. Our zest for innovation has resulted in continuous upgrades in the existing line of products. Till now we used to manufacture 3 different equipments for Driver, MCPCB and Luminaires Component testing. 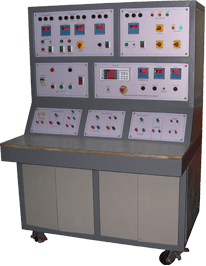 We at SCR Elektroniks have developed our comprehensive tester to incorporate all the 3 systems in a single bench. Here in this tester one can test all the three DUT in a single bench. 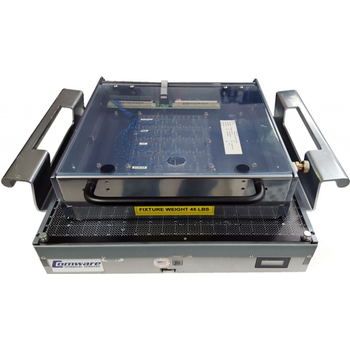 Since all the 3 testing procedures have many tests in common, we have incorporated all the tests in a single bench such that testing of Luminaire driver, Luminaire PCB and Final Luminaire set is performed in single test bench. Only these tests are performed over the DUT else other are disabled for them. 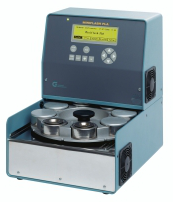 MINIFLASH is a unique series of flash point testers for the automatic determination of the flash point of liquids and solid samples according to ASTM D6450 and the advanced ASTM D7094 standard. This procedure describes the “Standard Test Method for Flash Point by Modified Continuously Closed Cup (MCCCFP)”, which offers the highest repeatability and reproducibility and an excellent correlation to the D93 Pensky-Martens method: "There is no statistically significant bias observed between ASTM D7094 and ASTM D93 Procedure A” as concluded during the last Round Robin. ASTM D7094 has been approved by the ASTM committee for the Diesel Fuel and Kerosene specifications ASTM D975, D396, D2880 and D3699. 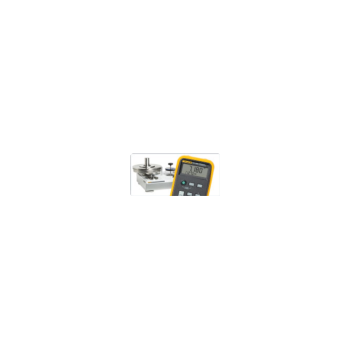 To measure the conductivity value (ranging from 0 - 2000 µS) which can therefore judge whether water is pure or not. The conductivity value will become lower if there is much less impurities existed in water (for example, distilled water that its purity is higher than others will get a lower conductivity value of approx. < 10 µS). In industrial sectors, it would be a great help for the quality of the products if using the good water (more pure water) in the process. It may cause several diseases if home drink water existing high conductivity & contain impurities, the (pure water tester) are designed to check the purity of water (water conductivity) also can determine the conduction of the “water filter” easily and rapidly. TestFort QA Lab has a wide experience in delivering desktop application testing services to our clients from all over the world.We aim to follow the newest trends in desktop application testing and development in order to provide you with the most suitable and leading edge solutions.If you what your desktop application to take a leading position on the IT market you must be sure that it will be tested in a right and thorough manner. Our professional consultants can help you to choose the most appropriate type of desktop application testing and our experienced testers will help you to perform it in the most efficient way. 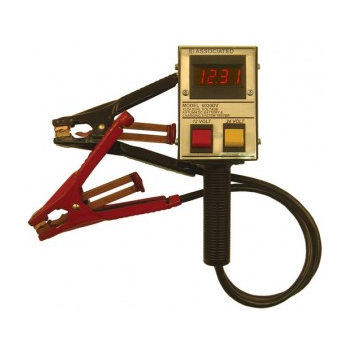 Commercial trailer light and electric brakes tester that reduces guesswork and saves time by powering each trailer electrical circuit in 7-way round pin arrangements. Allows for proper verification of wiring configuration, ground integrity, short circuit and overload conditions, along with electric brake operation and turn signal simulation. Bluelight’s powerful and lightweight handheld Ethernet tester incorporate the dual functionality of wire speed performance analysis and network monitoring in the same instrument. Multiple protocols can be decoded and displayed for captured Ethernet, SONET, or SDH frames at full wire speed up to 10 Gbps. Fixtures and programming services are available for Agilent, GenRad, and Teradyne testers. Working from CAD data, a program can be created in only a few days allowing for fast and cost effective testing of your products. Engineering services are available for fixture revisions or repairs. The GRABNER INSTRUMENTS MINISCAN IR Vision is a truly portable and fully automated FTIR fuel quality tester that allows fast and highly precise analysis of gasoline, diesel and jet fuels directly in the field. 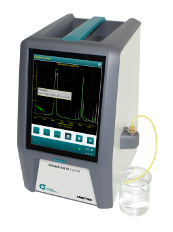 The ParaFuelTM analyzer is used specifically for process applications. 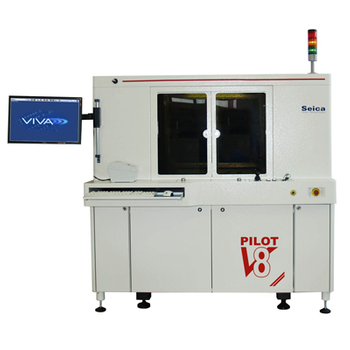 ZDI utilizes a Seica flying probe tester in order to provide test program development and testing services to customers in Silicon Valley and throughout North America. This is a very cost-effective solution for printed circuit assembly manufacturers who do not have in-house equipment of their own but have customers who require test services. 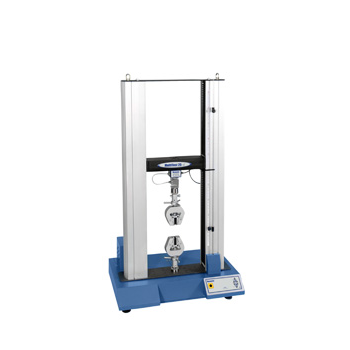 The MultiTest 25-i provides a powerful and comprehensive twin-column tensile test system for high capacity force measurements up to 25kN. With full programming capability and a large selection of analysis options, through the power of Emperor™ software, the MultiTest 25-i offers unparalleled tensile tester versatility. 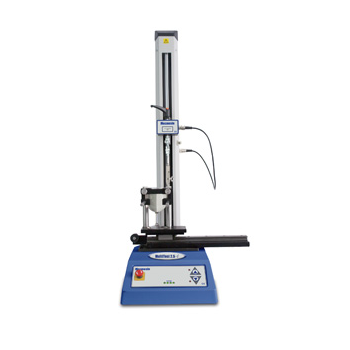 The MultiTest 2.5-i provides a powerful and comprehensive tensile test system for force measurements up to 2.5kN. With full programming capability and a large selection of analysis options, through the power of Emperor™ software, the MultiTest 2.5-i offers unparalleled tensile tester versatility. 6030DV - Associated Equipment Corp.